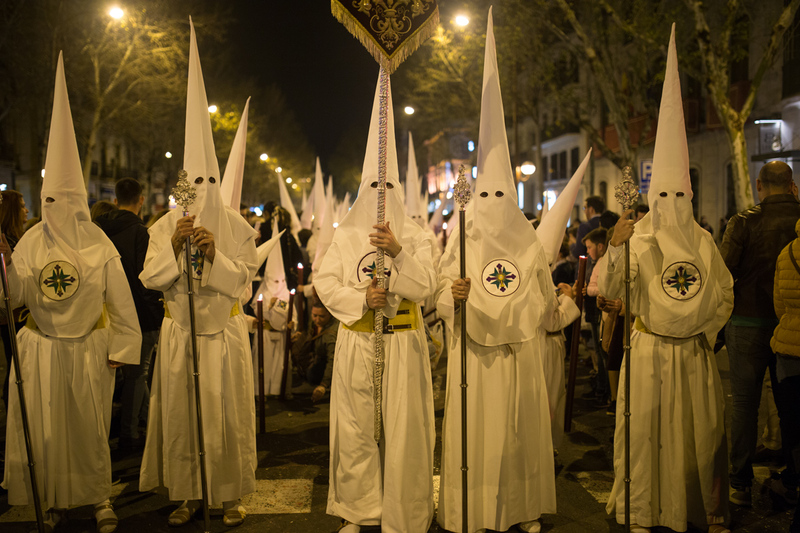 Semana Santa de Sevilla is the biggest religious event here in Seville. It’s celebrated far more exuberant than Christmas. 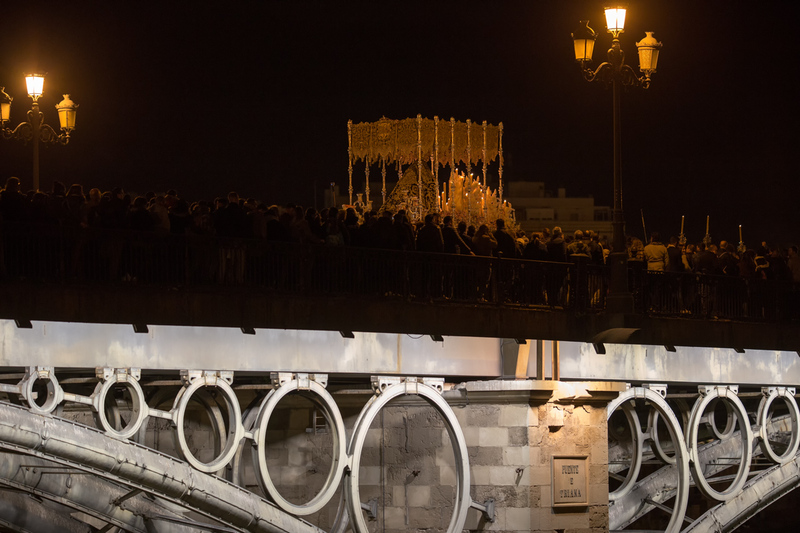 Semana Santa de Sevilla or the Holy Week of Seville this year started on Sunday, 25 March and ended on Easter, 1 April. 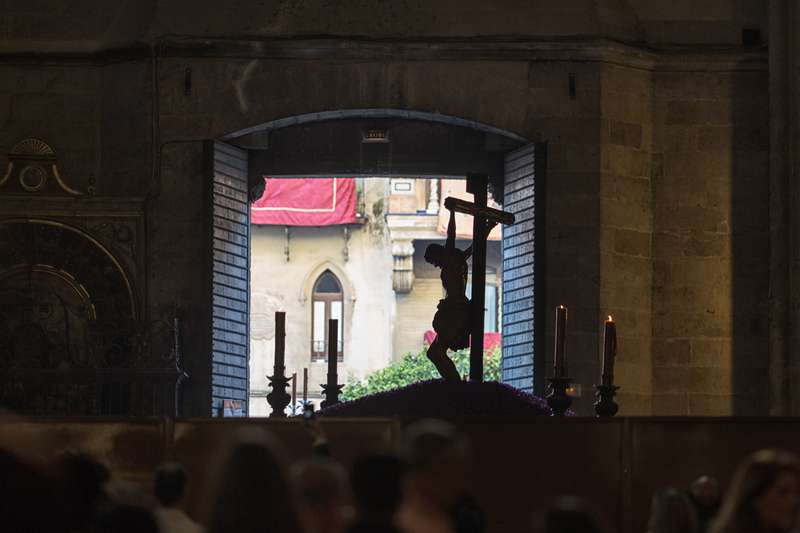 The Holy Week is a series of processions leading to Easter. 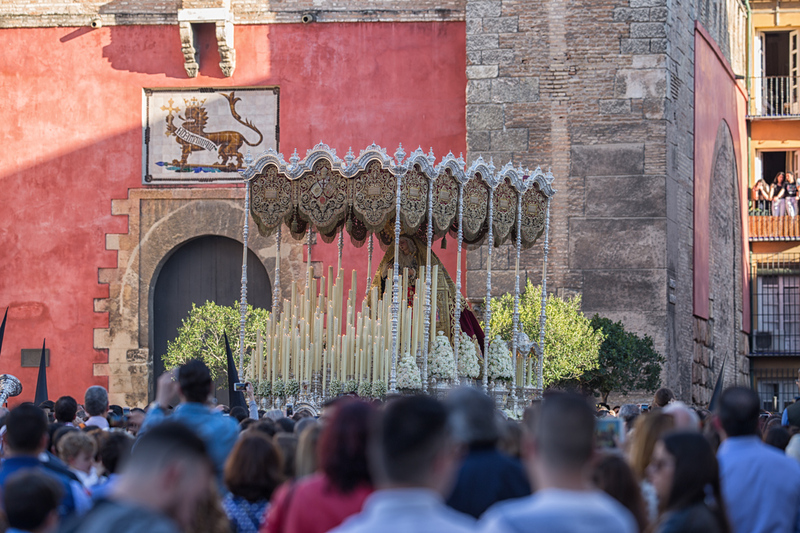 There are more than 50 processions departing from different churches from all over Seville, heading to the Cathedral then returning back to their home church. Each procession has different route to pass and must go at certain allocated time. There is, however, a common official route between Campana and the Cathedral that all processions must pass. 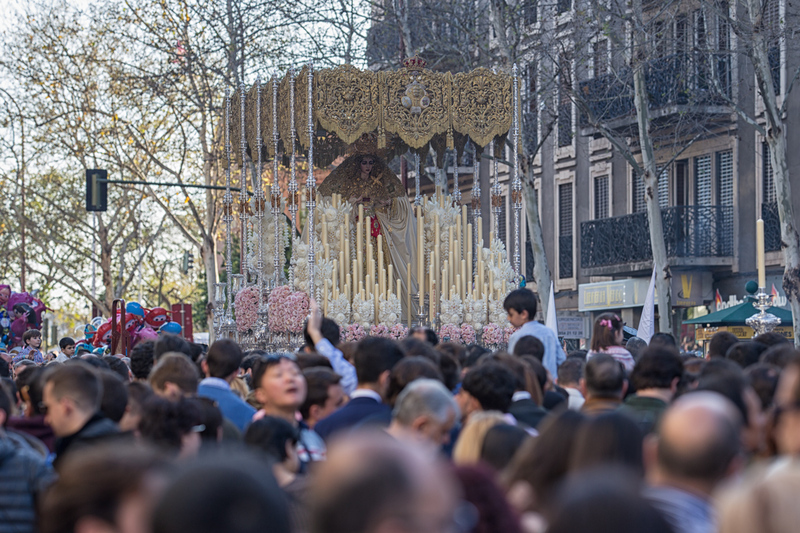 It takes an hour or two for a procession to pass only one road and takes even much longer to reach the Cathedral of Seville depending on where the home church is. There is marching order to follow starting from a great cross, a group of people wearing pointed hood and holding long wax candles, a group of altar boys, the Paso, marching band and a group of people wearing non pointed hoods carrying wooden cross. 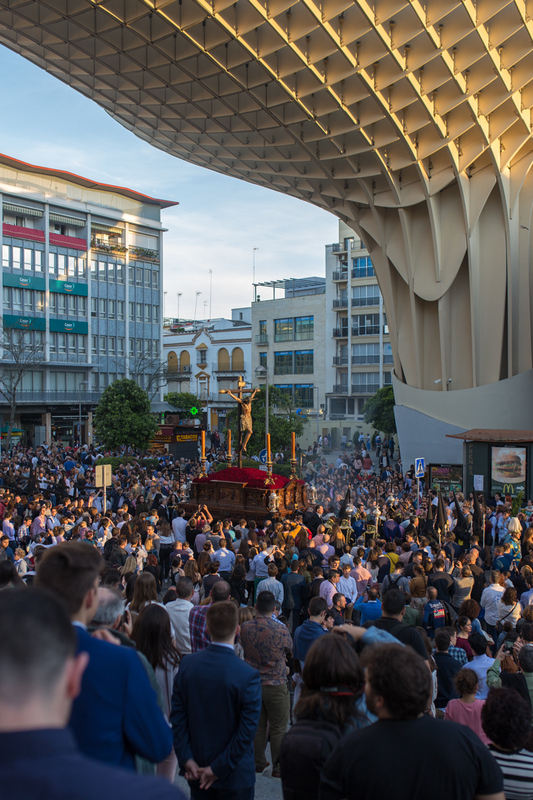 This was our first Semana Santa de Sevilla. We were beyond excited observing the processions coming from many different churches. We went out almost everyday to see the procession. Sometimes we waited by the street one to two hours just to get the best spot to see the processions. It was the first time for us to see so many people in Seville. The city’s air was thick with enthusiasm from both local and tourists. There were so many things to see during the Holy Week but we could not see all. 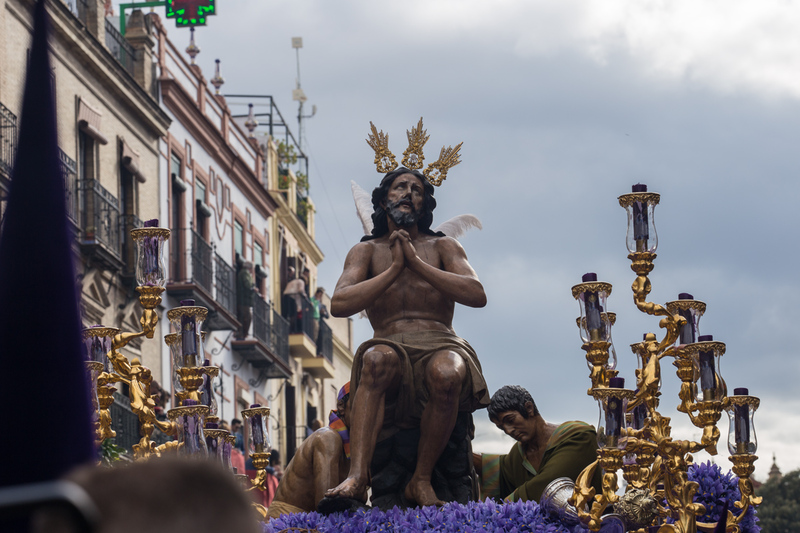 Pasos, or the floats of lifelike wooden sculpture of Jesus and grieving Virgin Mary are the highlight of the processions. Each brotherhood has two or three pasos in the procession. 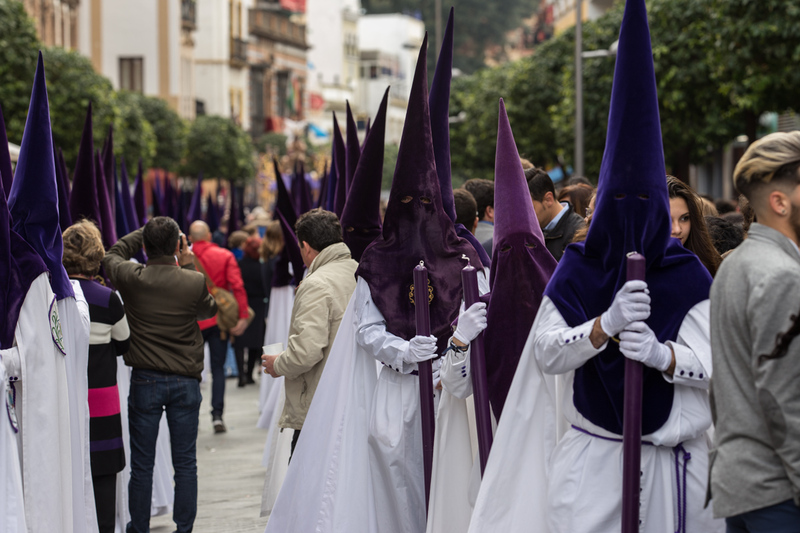 Nazarenos are the brotherhood conducting the processions in the Holy Week. They pointed hoods cannot be missed. 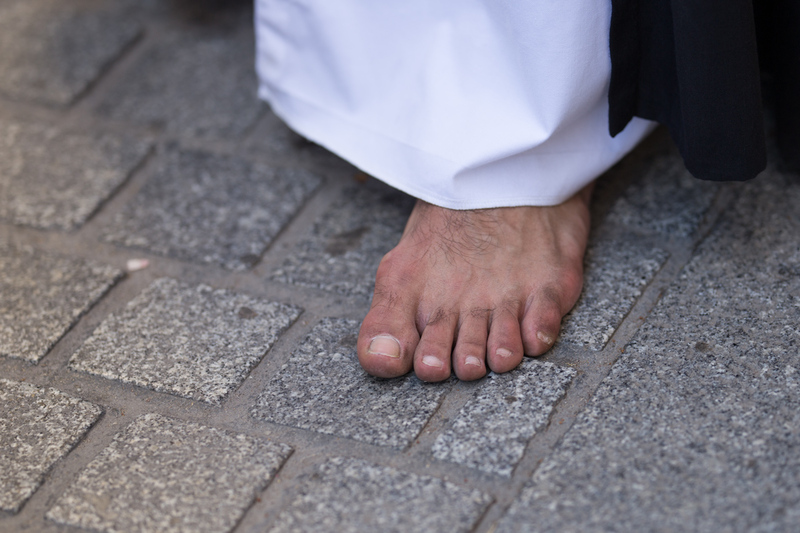 Sometimes Nazarenos walk barefooted. 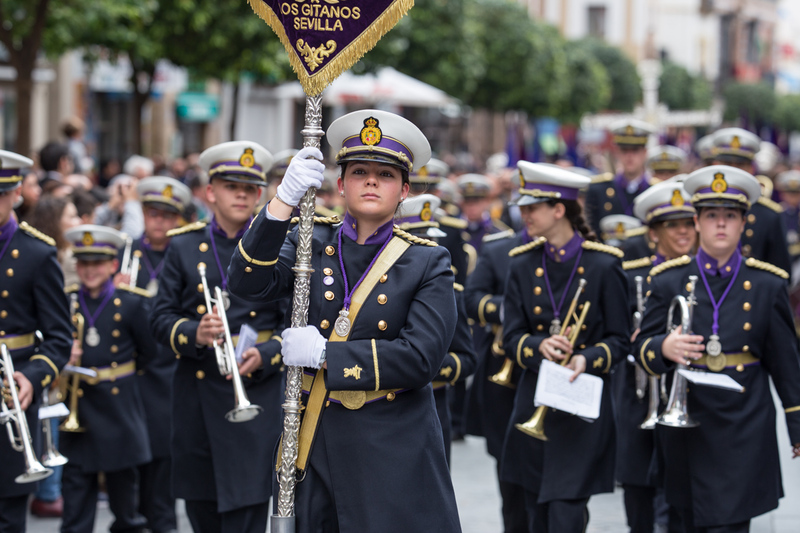 Each Nazarenos dresses in different colour and wearing different symbol too. At the very front of Nazarenos are “leaders” who carried the church symbol. The procession is led by a group of marching band. When you hear the beating drum and the screaming trumpets, it’s the sign that the procession is nearby and will soon pass street. Costaleros are the men carrying pasos. They are hidden under the pasos so costaleros cannot be seen while paso is moving. 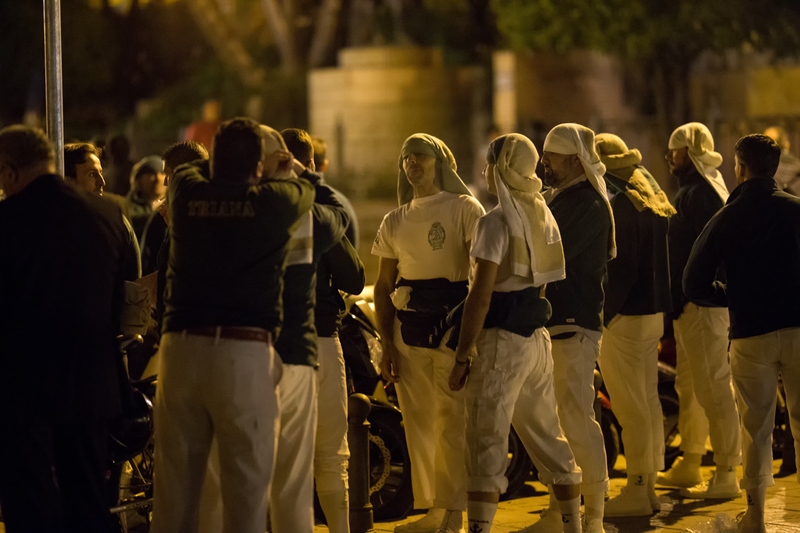 They can only be seen during the preparation of the processions and after finish carrying the pasos. 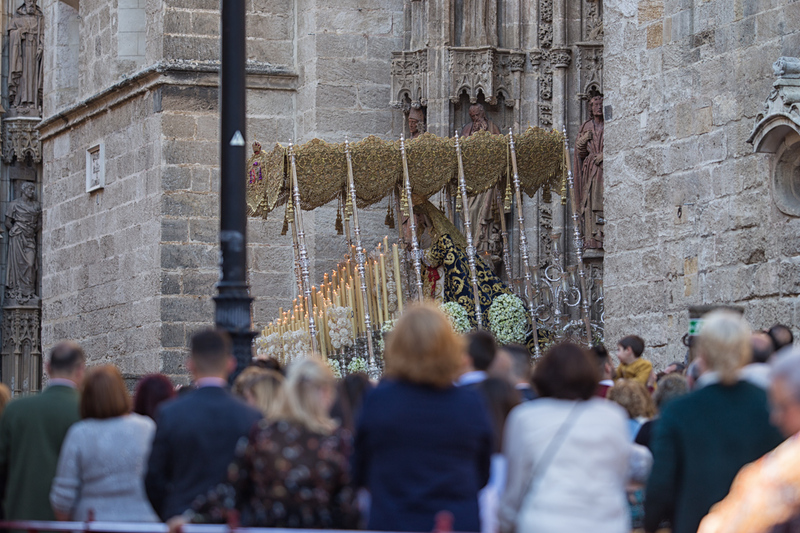 The Cathedral of Seville is the end route and also the starting point of the processions. During the Holy Week, the Cathedral of Seville is open for public for certain hours. 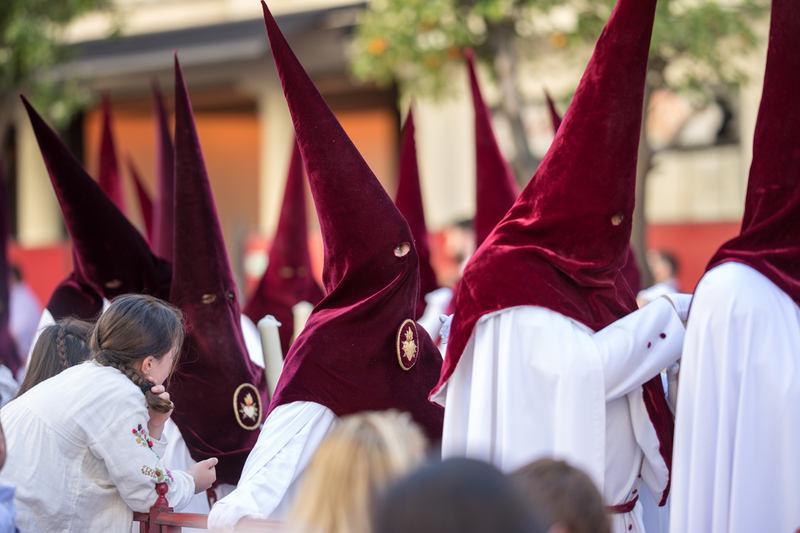 On Holy Thursday, many Sevillanos wear mourning clothes. 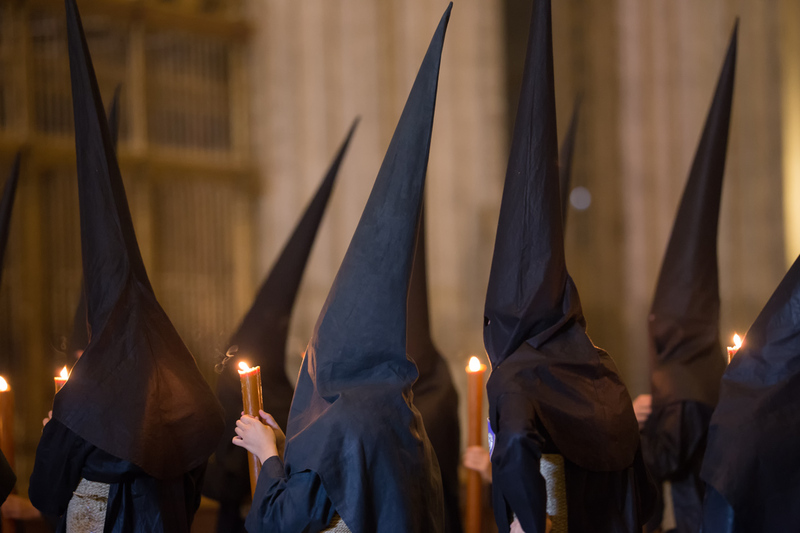 The women wear tall, conical hat covered in black transparent fabric. Madruga is early morning of Good Friday. La Macarena and Esperanza de Triana depart on Madruga. 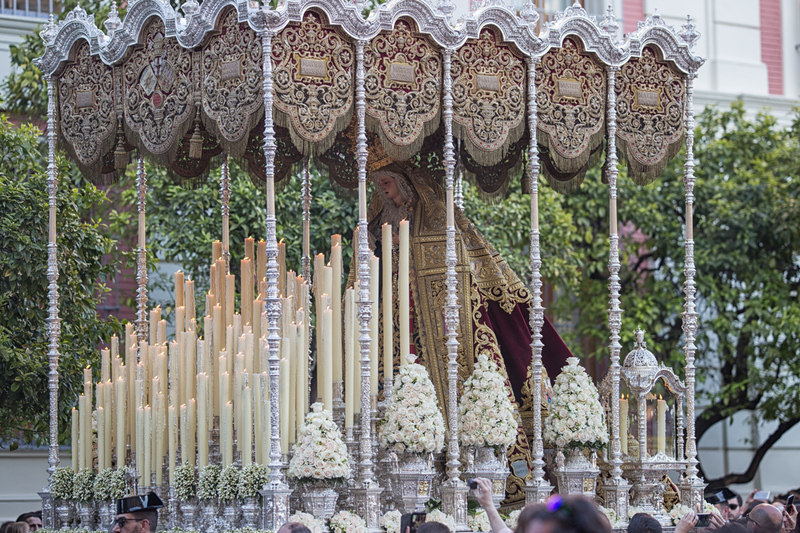 Both have one of the longest processions lasting over 2 hours with 2000+ nazarenos.. 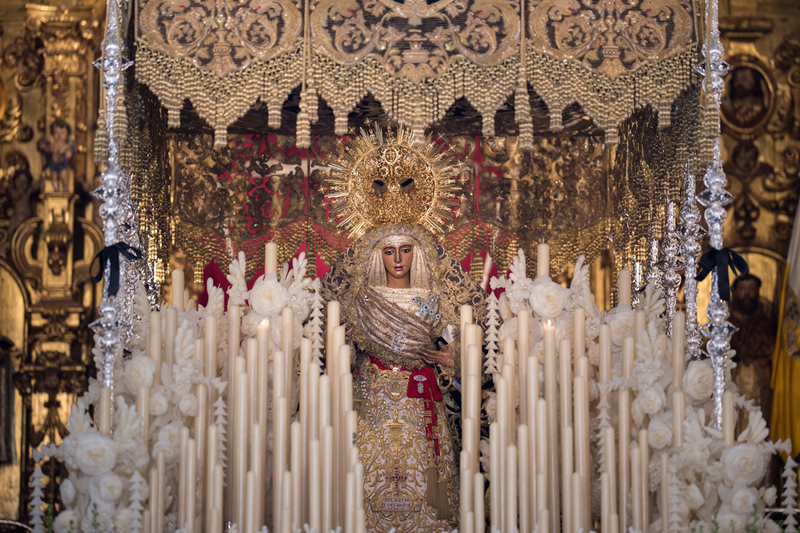 Some of processions like La Macarena and Esperanza de Triana have mass audience and it might be difficult to see pasos from the nearby. In this case you can visit the churches in the holy week other than procession time and see pasos. Get Santa Semana schedule from the hotel, post office or city office. They are free of charge. The processions literally happen at almost important side of the city. You will not able to see the entire processions because it’s difficult to move from one place to another either the roads are blocked or you cannot pass the massive crowds gathering at many places. It is best to check the schedule in advance and plan which processions you want to see the most. Two important areas not to skip are Triana and Macarena.